Rev. George Mooar (1830-1904) spent most of his childhood in the West Parish, where he was inspired by the ministry of the West Church’s Dr. Jackson. 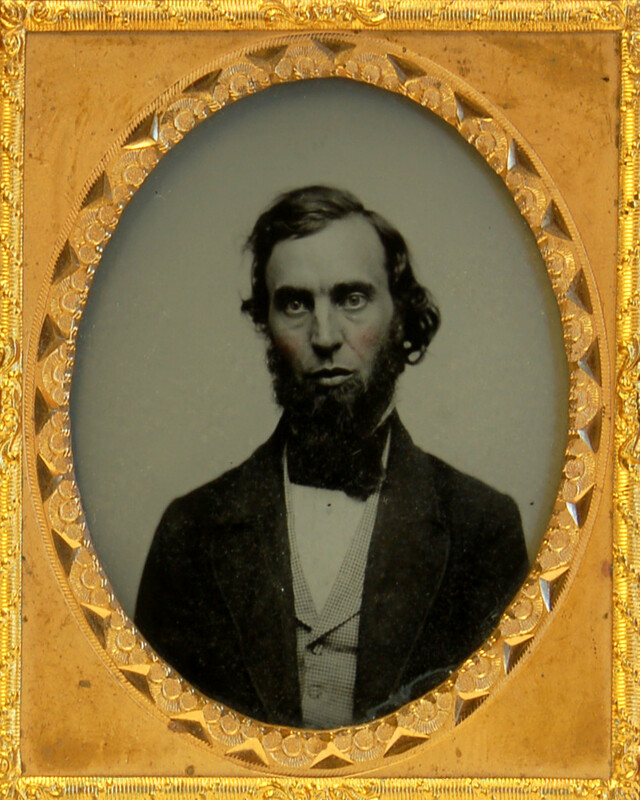 He graduated from Phillips Academy in 1847, Williams College in 1851, and the Andover Theological Seminary in 1855, before he was called to the pulpit of Andover’s South Church. It was a tumultuous period for the church, which still struggled to define the duty of church members in response to the abolitionist movement. During his six year tenure, Mooar oversaw the construction of a larger and updated meeting house, and also authored a comprehensive history of the historic parish, with lists of its officers and members. Mooar resigned from South Parish Church on March 18, 1861, and left Andover in search of a more favorable climate for his health. He and his wife Sarah, along with their three young daughters, arrived on May 7, 1861, in Oakland, California, then a small village on the shores of San Francisco Bay. Mooar was the first pastor of Oakland’s First Congregational Church, became an associate editor of the Congregationalist newspaper Pacific in 1863, and president of the Pacific Theological Seminary in 1872. He and his wife were well-known in California for their work among Chinese immigrants, and especially for the Christian conversion of their houseboy Jee Gam. Several of Mooar’s wartime sermons, in which he continued to explore the relationship between religious faith and loyalty to the government, were widely published and discussed by Congregationalists nationwide.